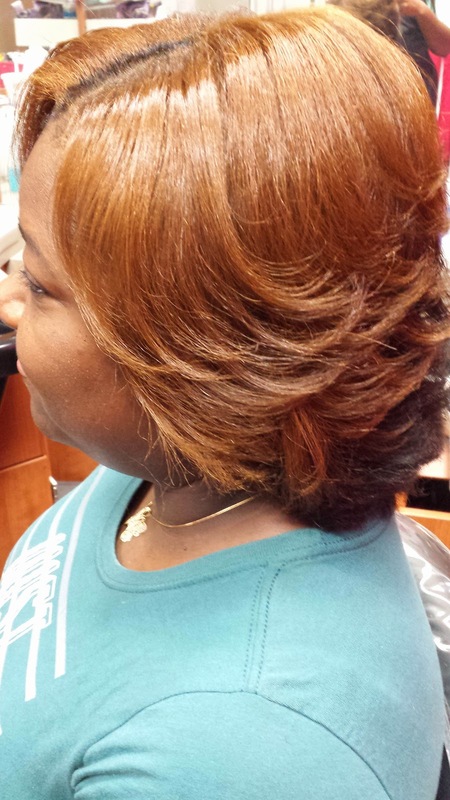 This client came in for her silk press because she had a special event to go to. Her daughter was graduating high school so she wanted to look absolutely fabulous for graduation. 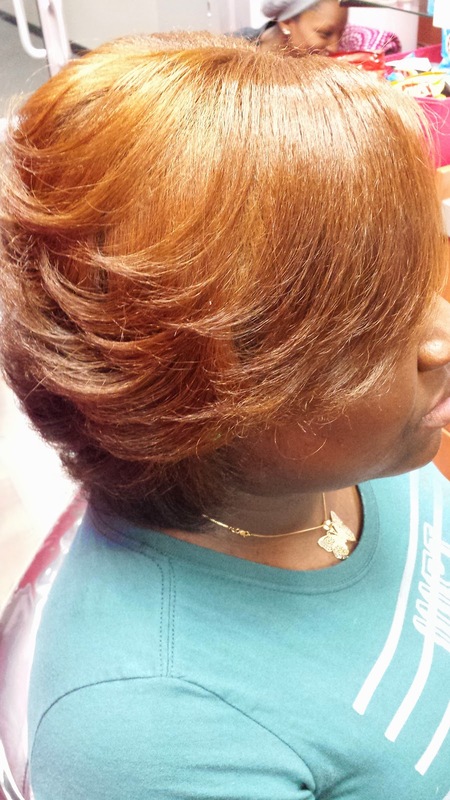 She has 100% relaxer free hair (notice I did not say "natural hair") but she does have permanent color. Since color tends to dry the hair out I made sure to pack on the moisture. 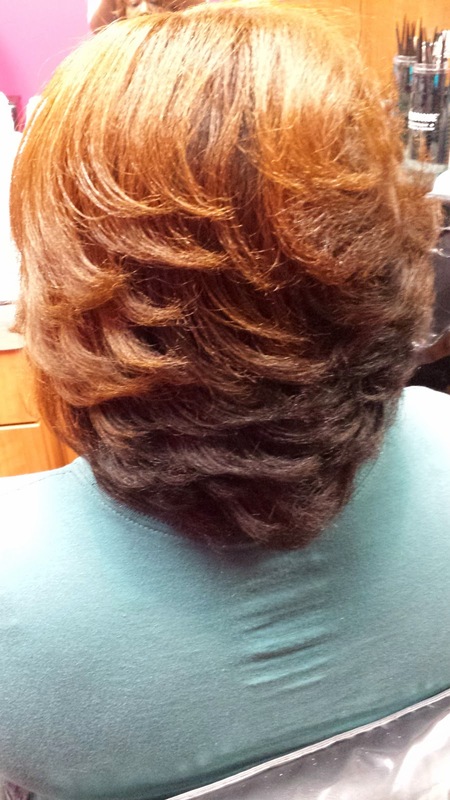 I did use Silk Hydration by L. Jones products starting with the clarifying shampoo. I always use clarifying shampoo because I like to start with a clean slate and it removes all of the dirt, oil, and residue off of the hair. 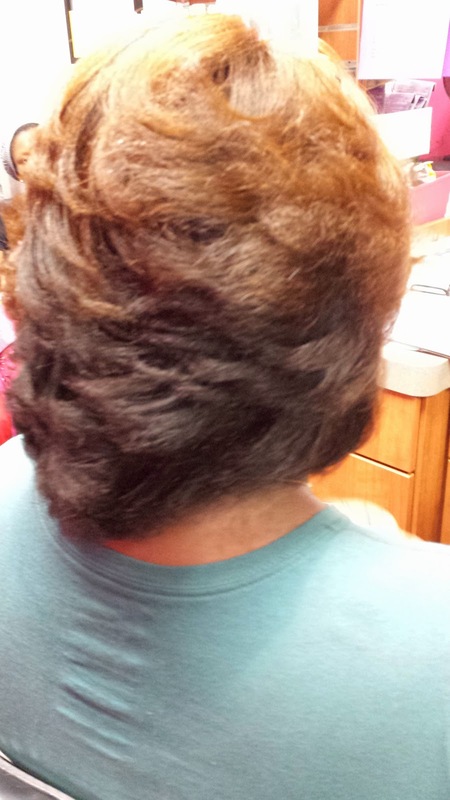 My clarifying shampoo does not have sulfates or parabens in them like many others so it is not as harsh on the hair. I then used the moisturizing shampoo to start adding the good moisture back in. After that I used the moisturizing treatment which contains loads of different oils including argan oil, coconut oil, and olive oil just to name a few. After letting that sit for a few minutes I rinsed then was very generous with the leave-in conditioner before I began blow drying. 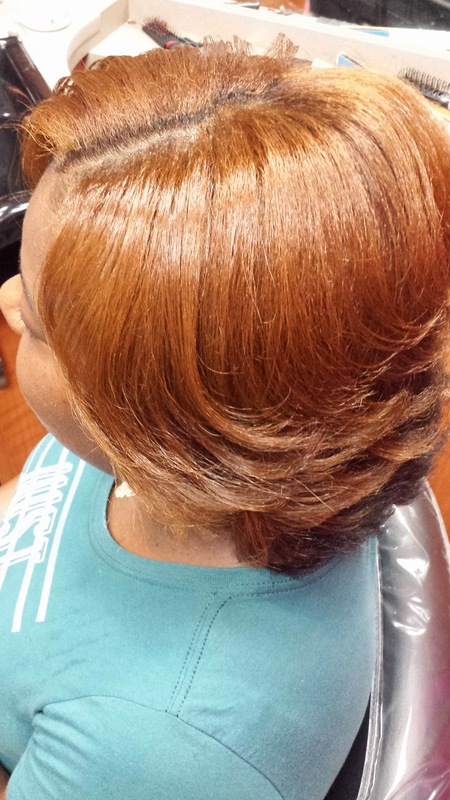 The leave-in conditioner is an excellent detangler as well so it made the blow out a breeze. Next was time for the actual pressing in which a ceramic flat iron was used. To maintain this look she can wrap nightly and sleep tight!